Please note: when choosing a remote control, make sure to select one which is listed in the accessories of the fan you have purchased. 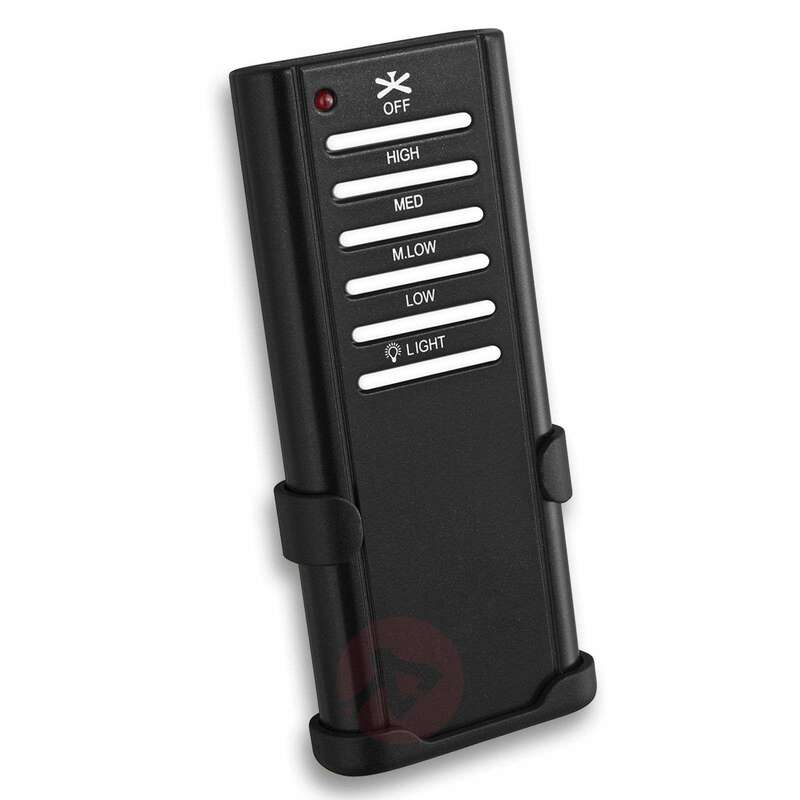 This remote control can be used to control every Westinghouse fan except for the Hugger models. It is equipped with a switch for turning the fan on and off (4 speed settings) as well as a switch for controlling the light. The light switch has no dimming function. A wall mount is also included. Four AAA batteries (1.5 V) are needed for the remote control (please order from the accessories).